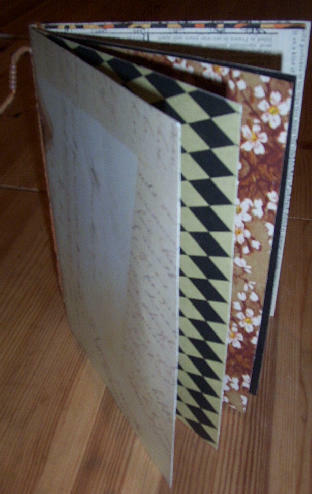 Back when I made the painted art journal I was so pleased with it I decided to try one made with decorative papers. So I grabbed a handful of Christmas cards we received this year and covered each side with papers (scrapbook paper, vintage giftwrap, sheet music, etc.). I just realized I'd forgotten to take a picture of it and since I had the camera out tonight here it finally is. Not much knitting going on around here these days but I have picked up the crochet hook again. I love to crochet but I go through stages and it has been a long time since I hooked. 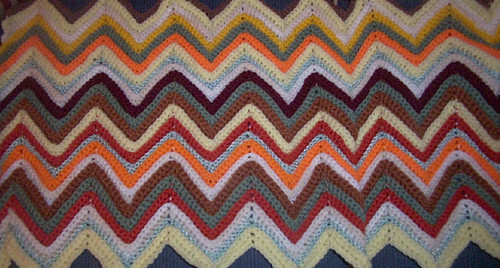 I'm loving working on this blanket! The colours are so seventies! Ever have one of those ideas in your head where you think about something and you make them in your mind over and over but never get around to actually doing it? Well, this next item is one of those that I finally got around to doing! Back to the mystery envelope and this time I got out an old Texas road map. 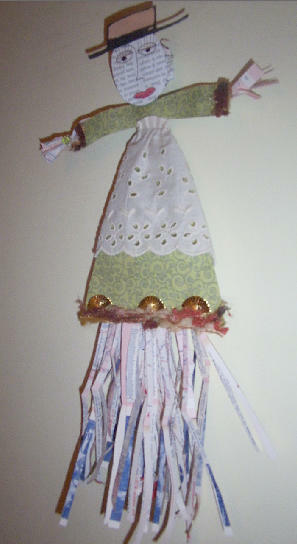 Cut it into strips and made myself an artdoll. 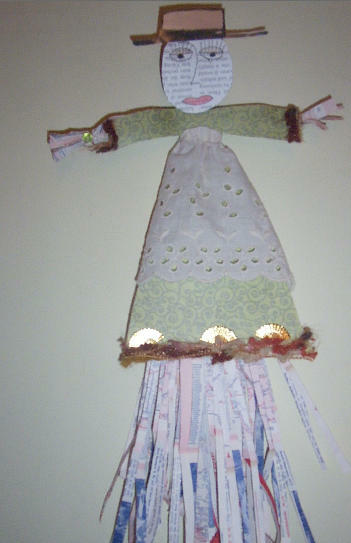 I used to make these dolls out of rafia way back in the eighties and have often wondered if it would work with paper. The map gave me some paper long enough to finally try it out! The first picture has some glare from the flash, so I took a second shot at an angle, but you don't see her face as well.